Home » 300. SOCIETY » 330. 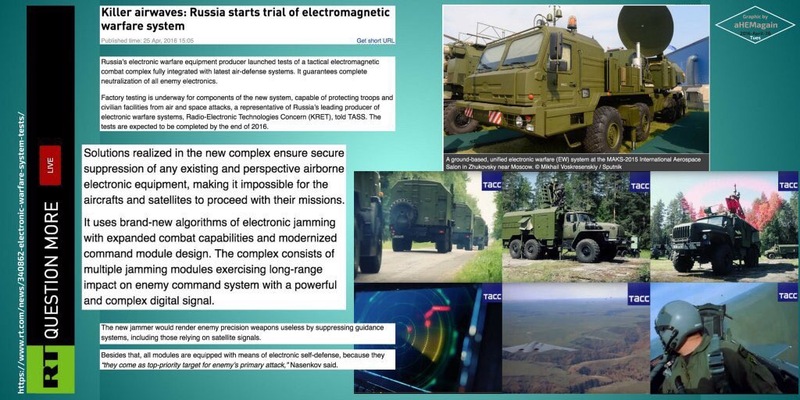 Government » 333.Military » KILLER AIRWAVES | #Russia begins trials of #ElectromagneticWarfare system, jams #GPS, Comms. KILLER AIRWAVES | #Russia begins trials of #ElectromagneticWarfare system, jams #GPS, Comms.